If you asked most people what was the biggest thing they missed since cutting out processed food, I think a lot of people would say things like pizza, or maybe fettuccini alfredo, or chocolate chip cookies. Me? I miss hot breakfast cereals. I mean Cream of Wheat, oatmeal (especially steel-cut ‘Irish’ oatmeal! ), Zoom… those sort of things. They’re like my paleo kryptonite. This porridge is grain-free, but it still retains the subtle nutty taste and natural sweetness that makes porridge so darn delicious. Enjoy this for breakfast before work, or after dinner as a sweet dessert treat! 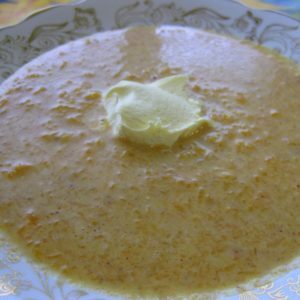 Put all ingredients into a small saucepan and stir to mix. Bring the mixture to a simmer (not quite to a boil), stirring occasionally. Once warmed thorough, ladle into a bowl. 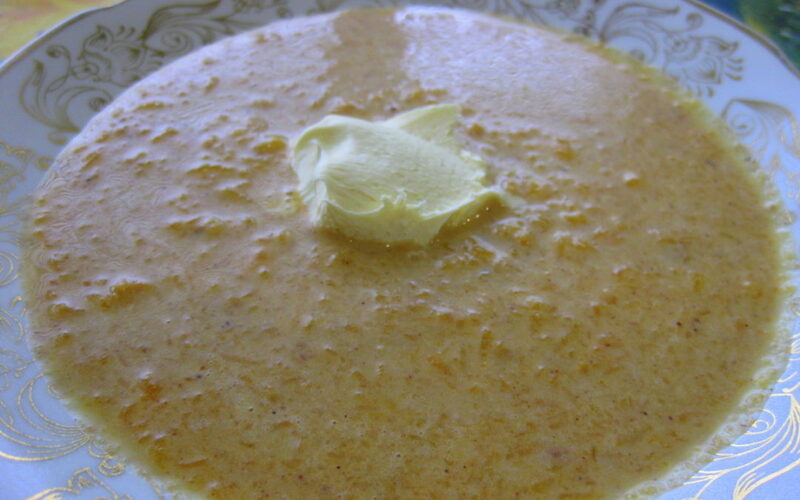 Top with a dollop of fresh raw cream and/or a sprinkling of cinnamon. For a more smooth 'porridge', use an immersion blender before serving. *Use acorn squash for the Radiant Reboot, RESTART, or 21-Day Sugar Detox (21DSD).